This entry was posted in 2015 November, Uncategorized on October 17, 2018 by velobrien. 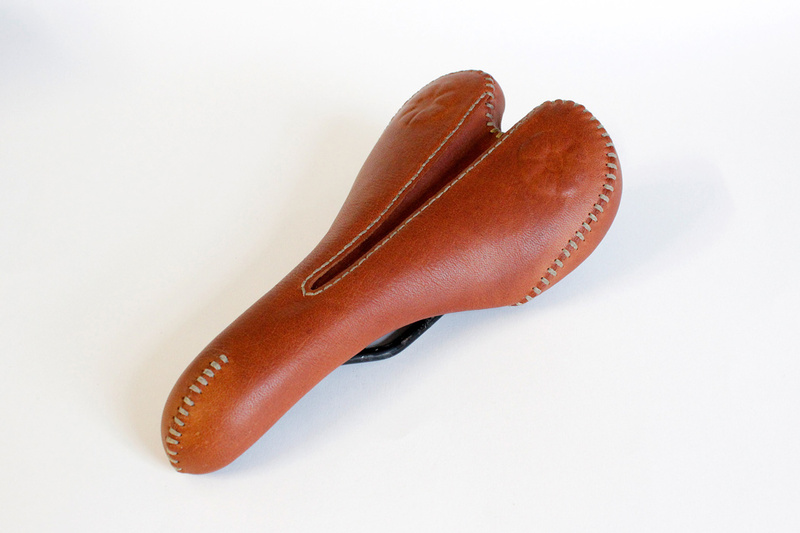 Honey Tan leather, perforations, detailed stitching and a custom Bianchi badge stitched on the back. This one is off to Sydney, Australia. Enjoy it Angus! This entry was posted in 2015 November, Uncategorized on November 27, 2015 by velobrien. 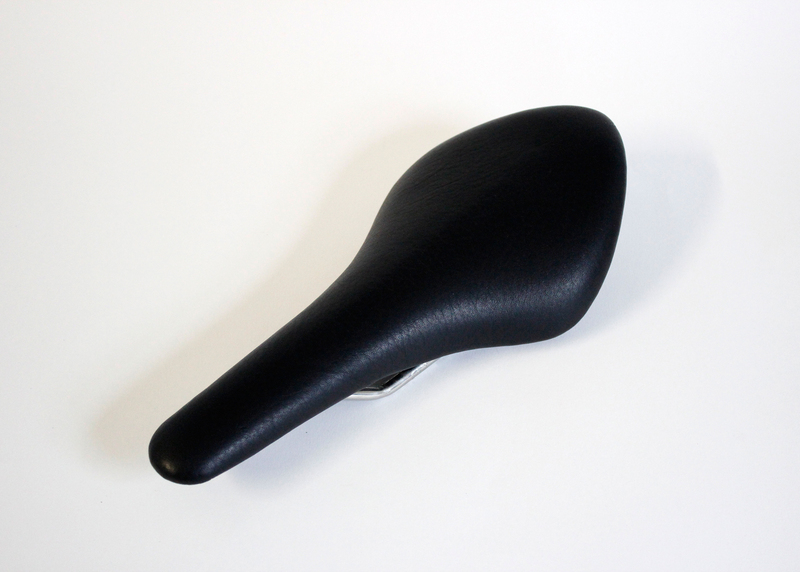 Selle San Marco (Laser) recovered in a full grain black leather. 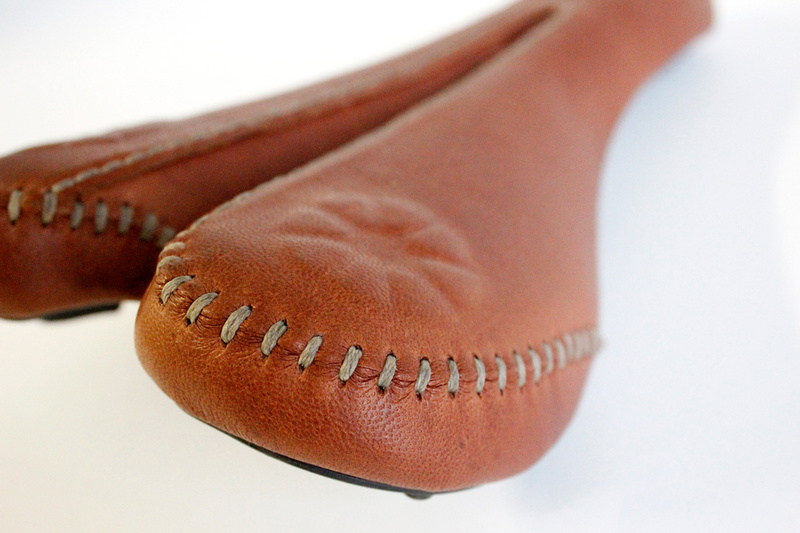 Red stitch detail. This entry was posted in Uncategorized on November 13, 2015 by velobrien. 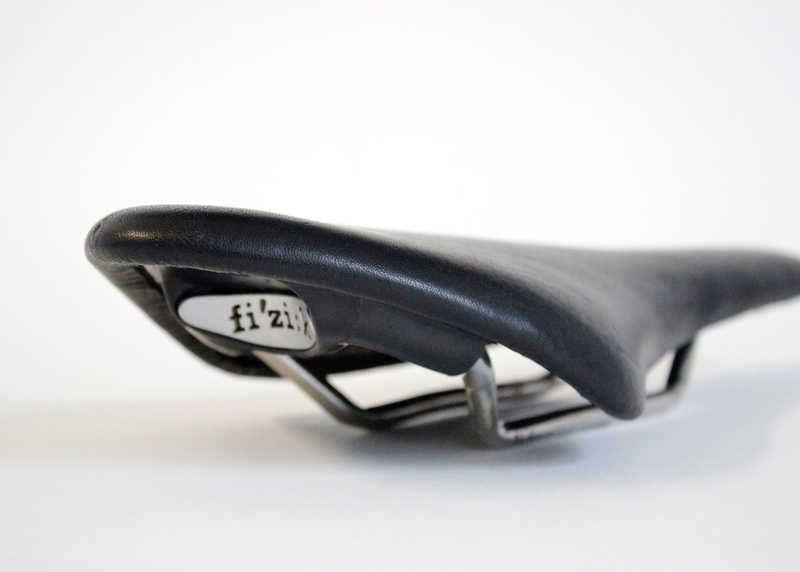 Fizik Arione straight recover in a stealthy black leather for Greg Squires. This entry was posted in 2014 June and tagged Fizik Arione on July 2, 2014 by velobrien. 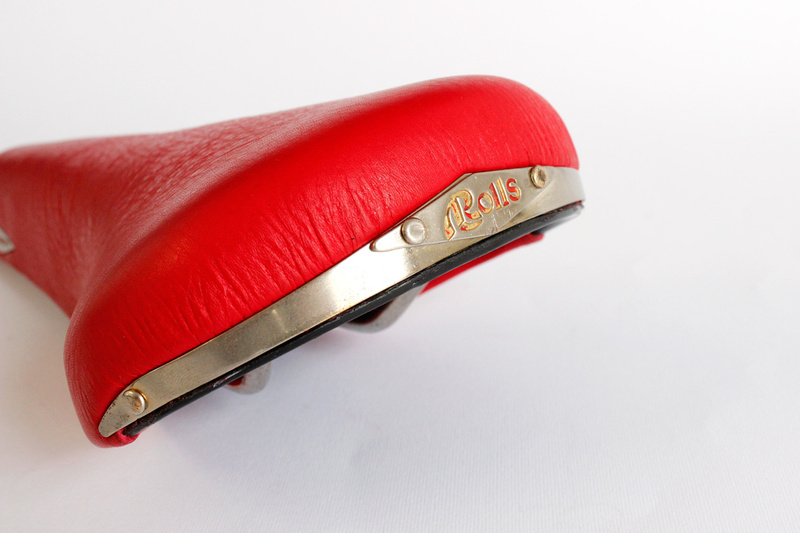 We just love these Selle San Marco’s for their classic vintage shape. 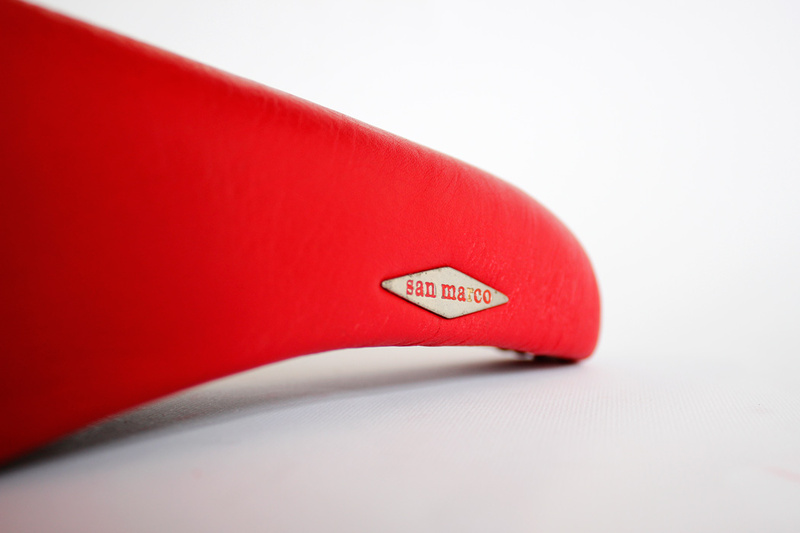 The brief was to recover the saddle in a vibrant red leather with all the badges being cleaned up and restored in keeping to the San Marco’s original design. This entry was posted in 2014 June and tagged Selle San Marco on July 1, 2014 by velobrien. 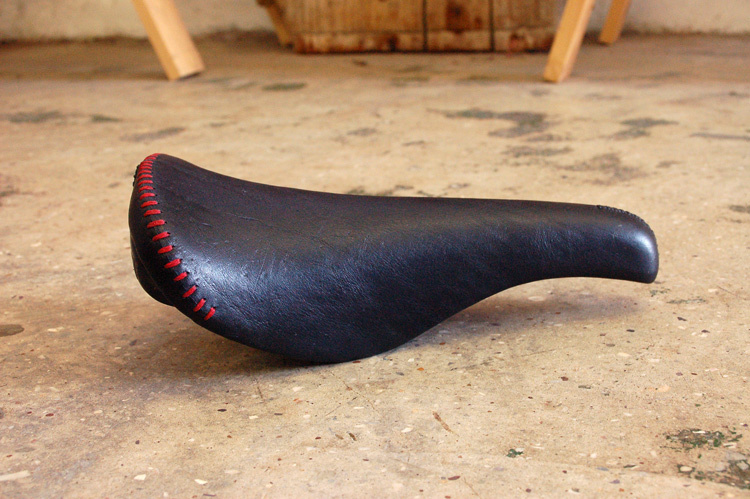 Billy Stelling dropped off his old Selle Italia which was after a much needed recover. 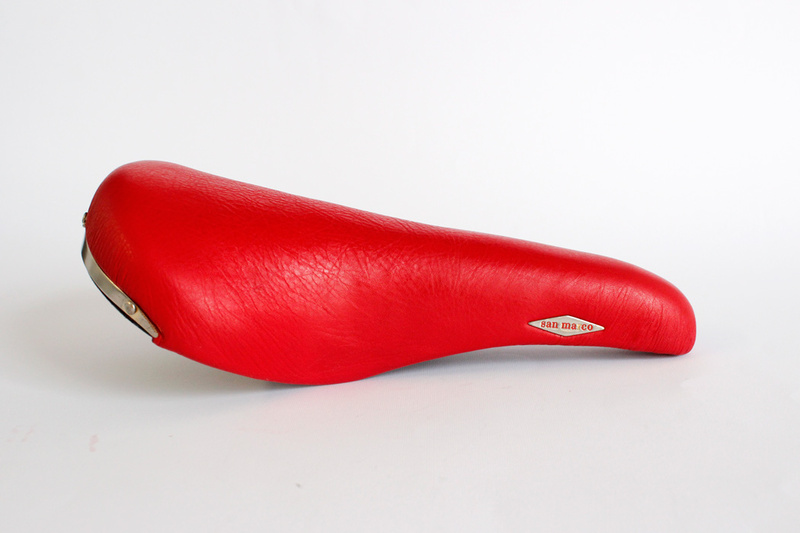 The brief was to cover it in black leather and to work in some orange to match the colour of his mountain bike. 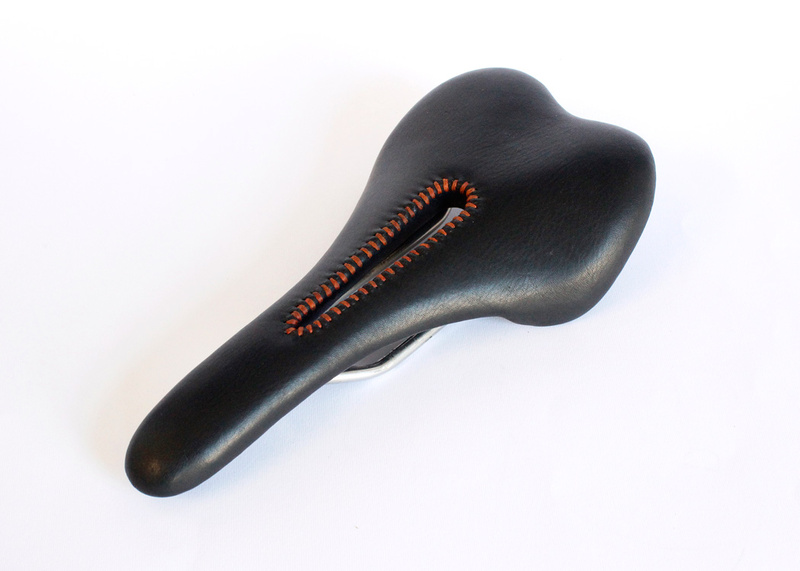 We used beautifuly textured black Kudu leather and an orange waxed thread. 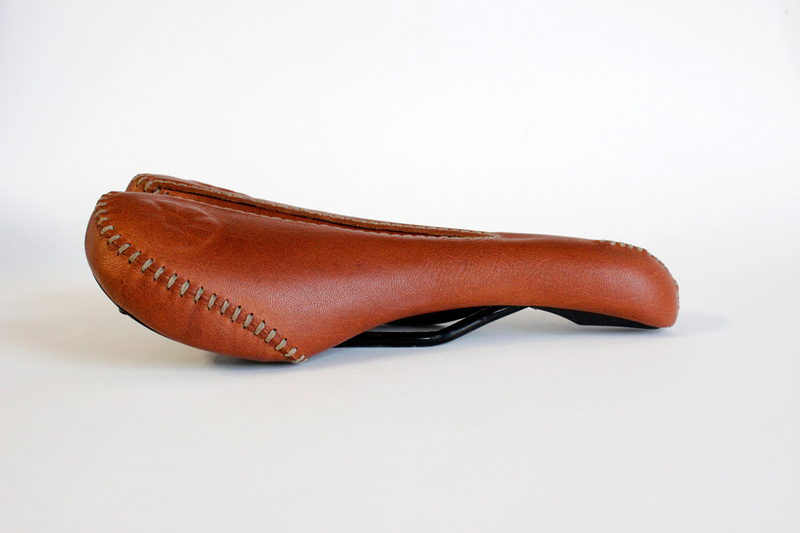 This entry was posted in 2014 June and tagged Selle Italia on June 2, 2014 by velobrien. 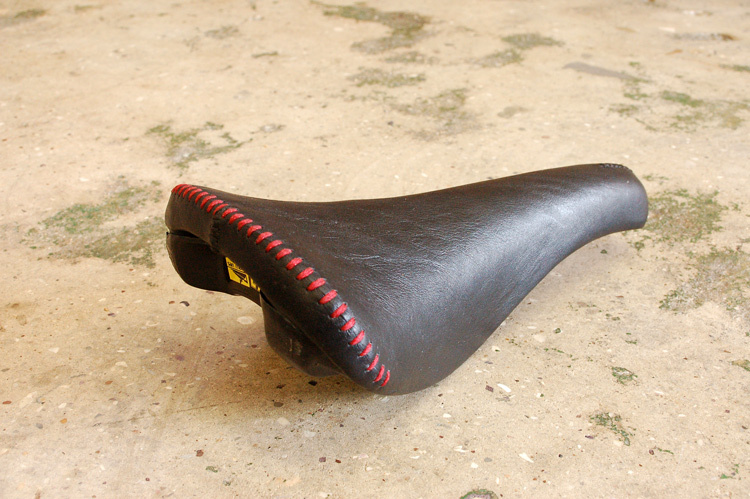 This specialized saddle was done for Jan at Dahon Bikes. Recovered in luxurious tan coloured leather with a subtle debossed logo and some hand stitching to finish it off. If you find yourself in Bree Street, Cape Town, then pop into the Dahon shop. 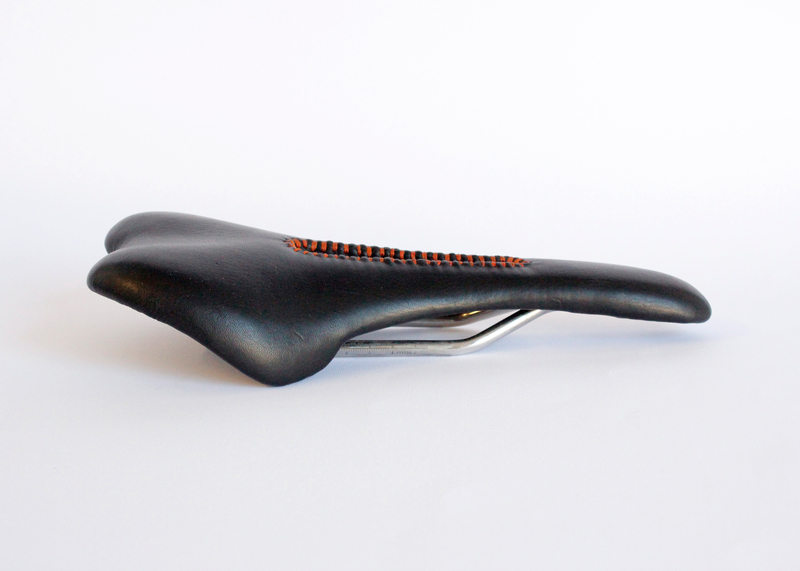 Some really cool fold-up bicycles available and you may catch a glimpse of Jan’s saddle! 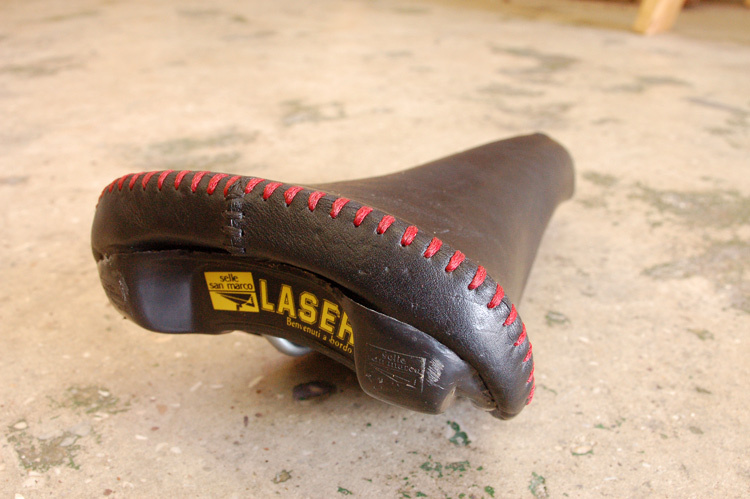 This entry was posted in 2013 June, Uncategorized on June 2, 2014 by velobrien.